But seriously, this stuff is out of control. 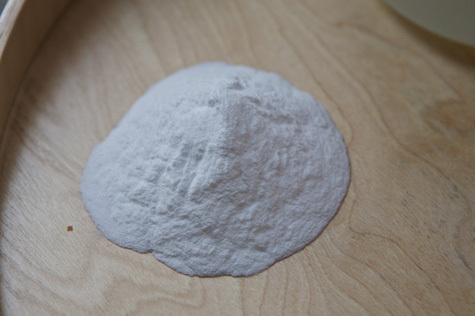 Baking soda and vinegar are the foundation of DIY cleaning. Don’t be fooled – it really is that simple. And this recipe is easy enough, but I swear it works like a charm. You don’t need complex, carcinogenic compounds lurking around your cabinets! 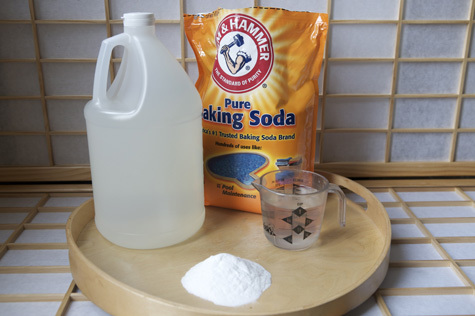 Baking soda, baby, and a liberal splash of vinegar. That’s powdered gold, my friends, white gold from cleansing heaven. 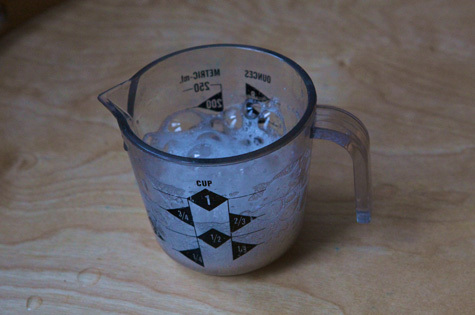 Carefully siphon all the baking soda down the drain. Pour in 1/2 of the vinegar, covering the hole so the fizz is forced down, not up (omit this for toilets, please!). Add the second half of the vinegar, following the same procedure. Allow to sit for 15 minutes or so, and then flush with an entire gallon of boiling water. I have used this method in my shower and my toilet, and it has never failed me. For particularly troublesome stoppage, you may have to administer multiple applications. For instance, I recently had to go three rounds with my janky bathtub drain. It was a mighty battle, but my baking soda came through for me! The magic is in the fizz. Enjoy, and happy green cleaning!